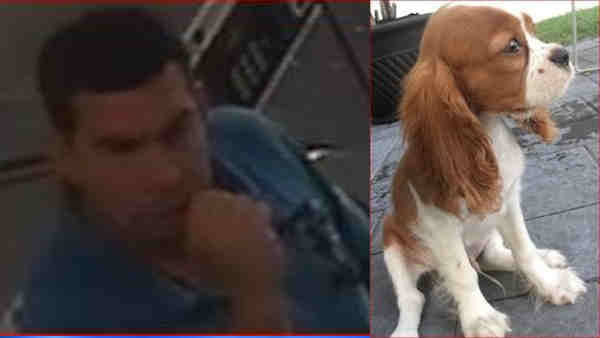 BUSHWICK, Brooklyn (WABC) -- A man who stole a dog from a Brooklyn laundromat apparently had a change of heart, and the Cockalier was returned to its owner Thursday. A man brought the missing pet, named Pippen, back to the laundromat on Knickerbocker Avenue, and he was reunited with his family. The puppy was swiped on Monday. It is the second time in as many days that a dognapped pooch was been returned by a thief who apparently grew a conscience. On Wednesday, a Shih Tzu service dog stolen from outside a Bronx supermarket was found tied to a tree outside the same store and return to is owner, a 64-year-old Vietnam War veteran. The two incidents are not believed to be connected.